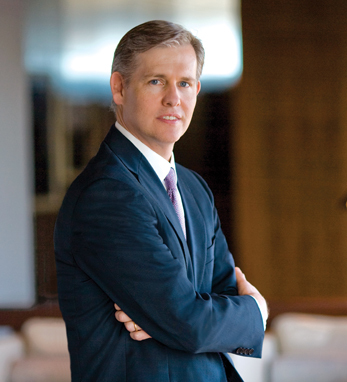 Mike Cavanagh is co-CEO of J.P. Morgan’s Corporate & Investment Bank, an industry leader in investment banking, trading markets and investor services such as cash management, clearing and prime brokerage. He is also a member of the firm’s Operating Committee and Executive Committee. Previously, Cavanagh was CEO of the firm’s Treasury & Securities Services division, which included businesses such as trade finance, cash management and transactional services. From 2004 to 2010, he was the CFO of J.P. Morgan Chase and part of the senior management team that steered the company through the peak of the financial crisis. Prior to the J.P. Morgan merger, Cavanagh held various roles between 2000 and 2004 at Bank One, including head of Strategy and Planning, treasurer, chief administrative officer of Commercial Banking and chief operating officer of Middle Market Banking. Before joining Bank One, he spent seven years with Citigroup and its predecessors. Cavanagh holds a Bachelor of Arts degree in history from Yale University and a Juris Doctor degree from the University of Chicago. He lives in Westchester, New York with his wife and their three children.